I've gone to many of the games, so you have no right to lecture me. I wasn't lecturing anyone, just stating that this move making you a "fan" wasn't the likely goal for Tulsa. Calm down. The Irish Rover and DBR70 repped this. Hearing #cf97 and Saint Louis FC have ended their USL relationship. Fire will partner with Tulsa Roughnecks FC this coming season. So @Mr. Warmth will this make you a fan? 2017 LH USOC and after playing San Antonio scoreless through120 mins, Tulsa wins in the 7th round of kicks taken from the penalty spot...a trip to FC Dallas is coming up next. FC Dallas fan here. Good game tonight. Y'all were holding your own until the blue chip subs came in. I really thought FCD was in for yet another overtime LHUSOC game. To be fair, if you weren't a fan before ... and are in touch with lower level soccer enough to have an opinion on "MLS affiliates" ... then they weren't really doing this for you. It's not really done for the fans ... and the ones they're trying to get through the gates likely don't care about this. 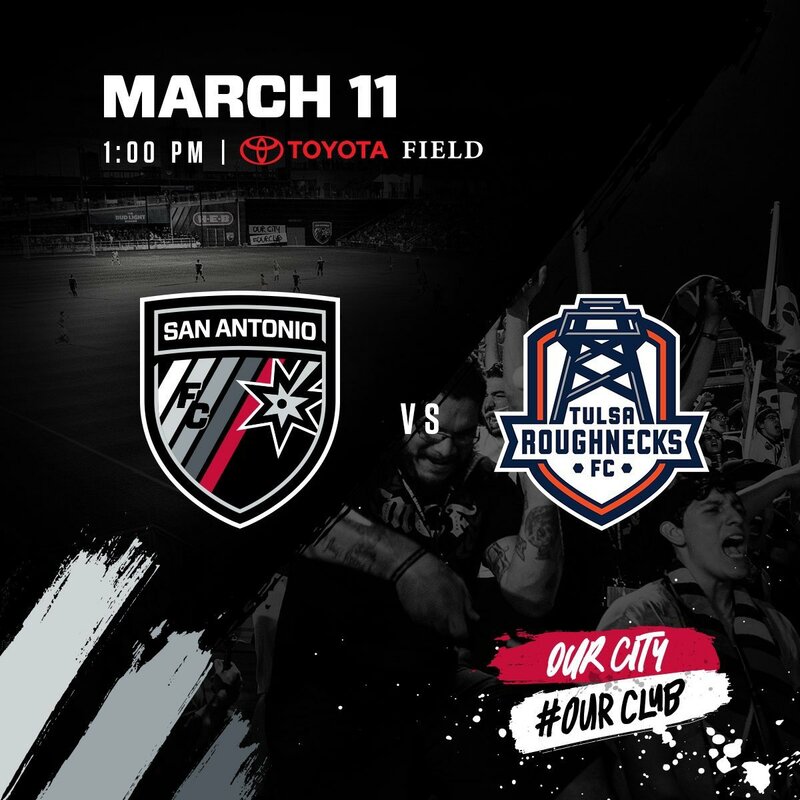 Our fans will know that the worst team in USL is affiliating with the worst team in MLS. If the team improves, they might get a small boost... otherwise the damage is already done. So, the Roughnecks really should be doing anything they can to appeal to the fans, including fans like myself. And if the affiliation ultimately improves the team (it has), then fans like myself will attend games more often (I have). I still believe "the damage is already done." I had different season ticket holders (one guy from Year One and another from Year Two) tell me in the offseason that they wouldn't be renewing for this year and likely won't be going to many games (one said he wouldn't go to any) this season. And I've watched attendance dwindle further despite a reasonably competitive and entertaining team with only two players returning from last year's roster. Also, the addition of some players and coaches from Rayo OKC have helped matters, as well as a defender who used to play for Tulsa Athletics (who unfortunately knocked in an own goal last night in stoppage time against FC Dallas). Sadly, in Year Three of the Drillers three year commitment to USL soccer, the crowds at ONEOk are smaller than the crowds we used to attract for Tulsa Athletics matches the first two seasons before the baseball guys with all the marketing experience swooped in to steal our thunder. I believe the increased payroll for this season's team is meant to drive up the asking price for when the Hubbard brothers/Drillers unsurprisingly put the club up for sale at the close of this season. 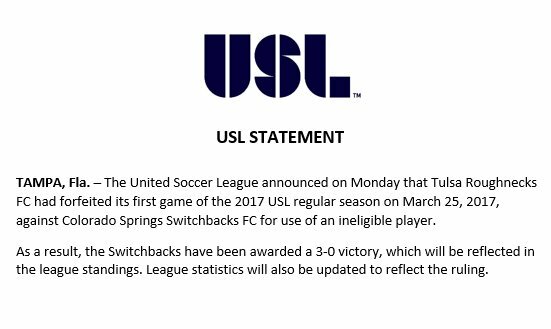 But hey... buy a 3rd division team for between $250k and $500k (my educated guess)... pay your first year team that barely missed the playoffs crappy wages resulting in a second year team that absolutely sucked (dead last in USL) only to gain 2nd division status from the USSF resulting in a big markup for potential sale of a club... a club I'd always been suspicious of having a high potential for conflicts of interest. We know there's money in Tulsa. Oklahoma City businessmen just recently relocated the WNBA Tulsa Shock to Arlington, TX. Why aren't any local Tulsa businessmen bankrolling the Roughnecks? Love that Tulsa kept their old logo! I hear (not from him) that the offseason will see changes in ownership and either a move from ONEOk to suburban Jenks or some sort of transition to a facility to be built there? at some unspecified future date, and any smooth transition will depend on how committed the Drillers front office is to sticking around months after the Hubbard brothers officially get out of the soccer business.